Can lowering cholesterol levels be as simple as looking at a still picture? According to a new Swedish study published in in the journal JAMA Internal Medicine, the answer is an absolute yes. In fact, those who looked at this picture lowered their cholesterol twice as much as those who did not. 3,532 study participants, all of whom were aged between 40 to 60, were given a written analysis of their unique heart risk factors, based on what was discovered in their blood samples and ultrasound scans. They also all received a motivational health dialogue and written guidelines to improve their heart health. However, only half of the participants received a picture of the plaque in their own arteries, together with a measurement from green to red to depict the difference between their biological and chronological ages. 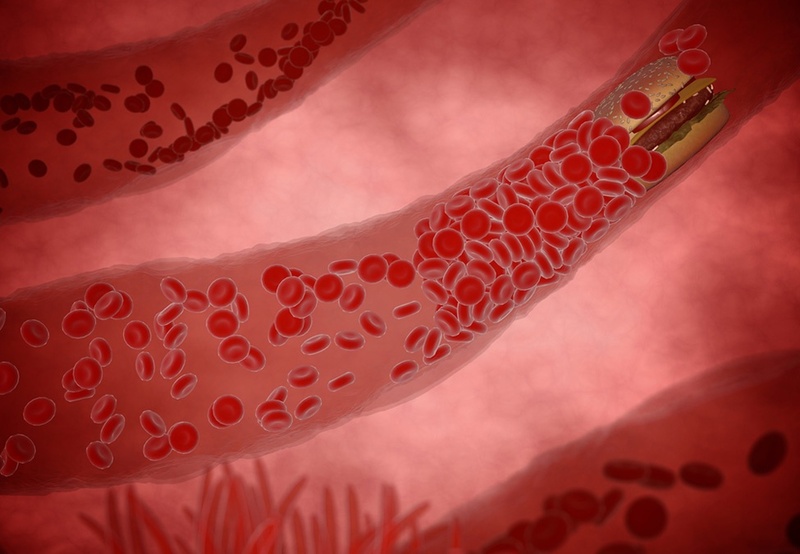 After one year, the group that received pictures of their personal arteries had lowered their cholesterol level by twice as much as those who had only received written report and instruction. The thing is we all intellectually know that we need to take care of our heart but because the symptoms are not obvious, it is hard to be motivated to make big changes. But a gruesome picture of your heart can shock you into taking action.